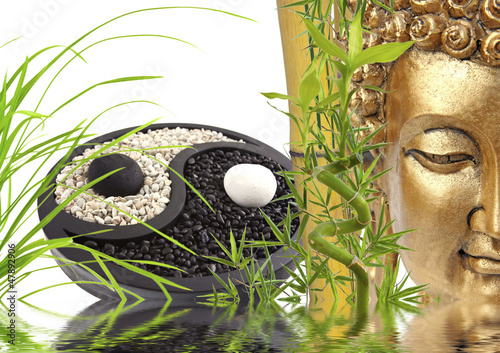 The concept of Yin & Yang has its roots in Taoism, the first written mention being 700 B.C. in the I Ching (“Book of Changes”). The Taoists observed the forces of nature, and saw the universe as a unified field, always moving and changing, while maintaining its oneness. Nature expresses herself with Yin and Yang, two opposite, yet complementary energies: night and day, cold and hot, rest and activity, feminine and masculine, soft and hard. Daily life is filled with Yin & Yang, and it is important to have a healthy balance between the two. The human body, according to Traditional Chinese Medicine (TCM) can also be broken down into Yin & Yang. Above the waist pertains to yang, below pertains to yin; exterior of the body is yang, interior is yin; back is yang and front is yin. Yin Yoga thereby focuses mainly on the interior of the body (connective tissue & bones), rather than the exterior (muscles), like Yang Yoga. Yin Yoga is very accessible to beginners, but also interesting for advanced students. It is often more challenging to quiet the mind rather than stay in the pose. Soft and slow, most poses are done on the floor. Yin Yoga focuses on Yin tissues of the body: connective tissue (ligaments, tendons, fascia) and bones. Gravity and time (poses are held for a few minutes) help to release deeper into the pose and apply healthy stress to connective tissues, making them stronger, more flexible and increasing circulation in the joints. Connective tissue, which is most concentrated in the joints, responds best to a slow, steady load, which is why we stay longer in the pose. It is critical to keep the joints fluid and active; otherwise the connective tissue will slowly shorten to the minimum length needed for activity. After a few years of neglecting the joints, you’ll notice it’s more difficult to flex the knees or arch your back. Yin Yoga also balances the meridians (energy channels), releases chronic and long held tensions, as well as negative emotions. Profoundly relaxing on a physical and mental level, it opens up the body on a whole new level. Yin Yoga is especially helpful for restlessness, anxiousness, feeling nervous, aggressive, hurried or worried. Yang exercise targets the yang tissues: the muscles. Muscles love to be rhythmically and repetitively moved. Any static holds are brief. The muscles are elastic and can take this type of exercise. In Yang Yoga we strengthen as well as stretch the muscles, making them stronger and more supple at the same time. There are many different styles of Yang Yoga, Vinyasa Flow being a popular one. In my Vinyasa Flow (breath synchronized movements) classes, we flow like water, going smoothly from one pose to the other. Soft warm ups prepare the body, energizing pranayama (breathing exercises) and invigorating sun salutations heat up, detox and stretch the body. Time is then taken to explore each pose individually, practicing mindfulness and awareness, ending in a brief relaxation at the end. Yang Yoga is especially helpful for when you’re feeling lethargic, tired, drained, sad and unmotivated.